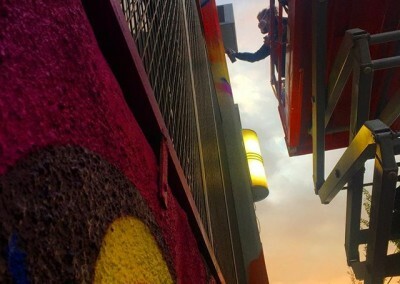 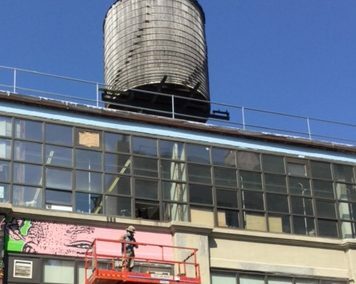 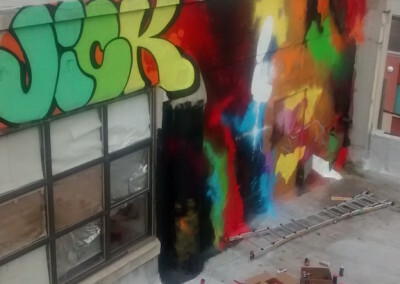 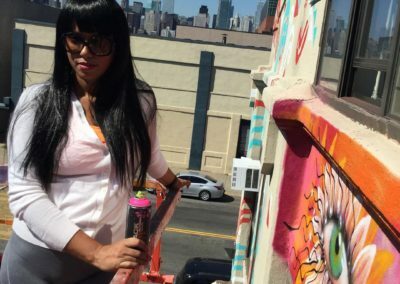 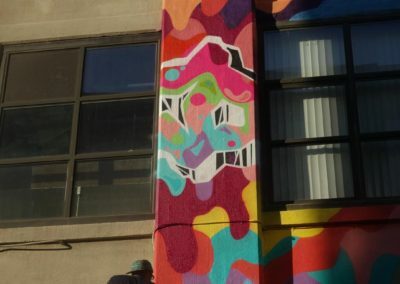 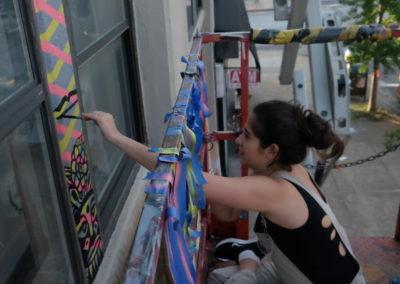 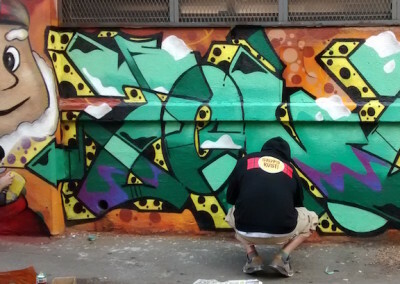 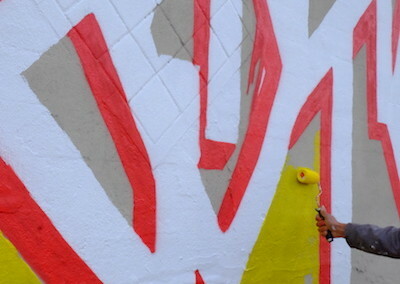 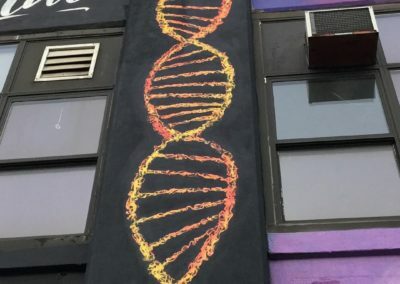 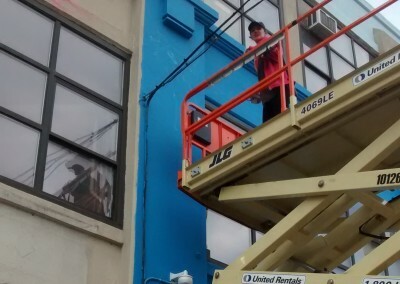 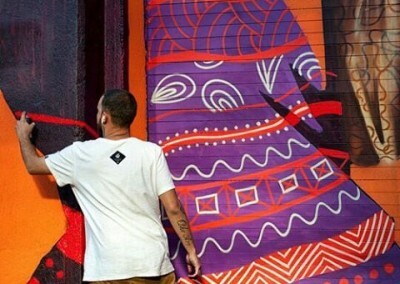 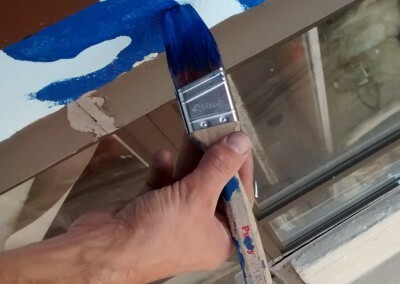 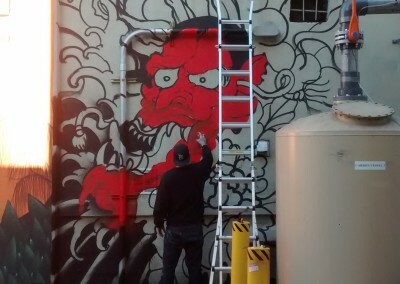 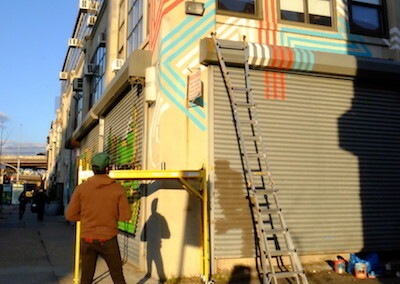 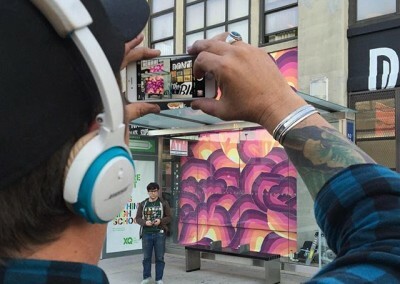 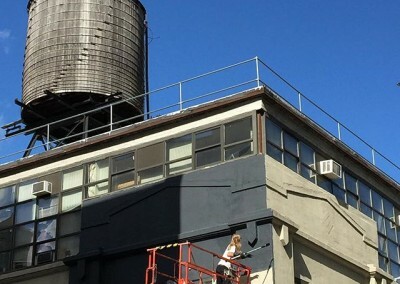 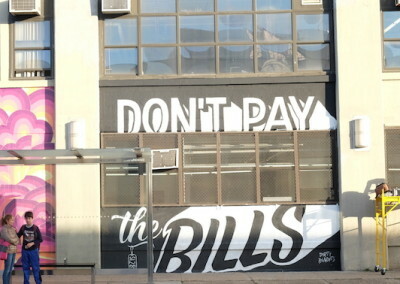 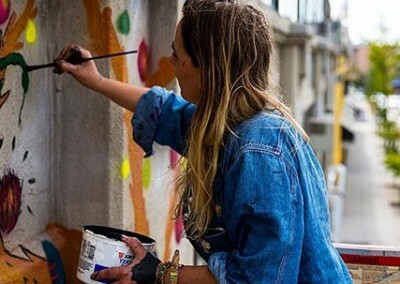 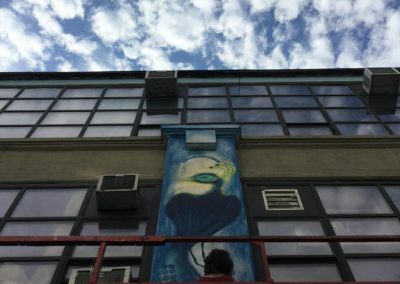 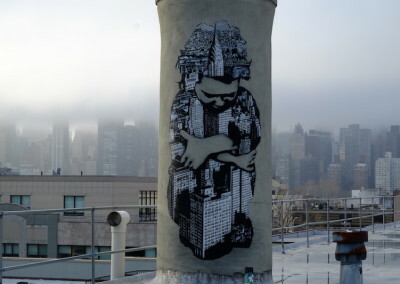 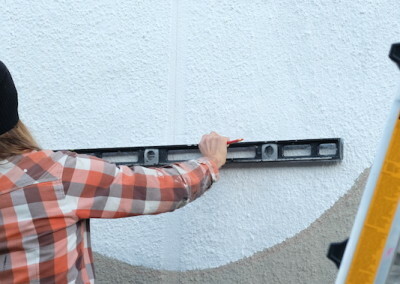 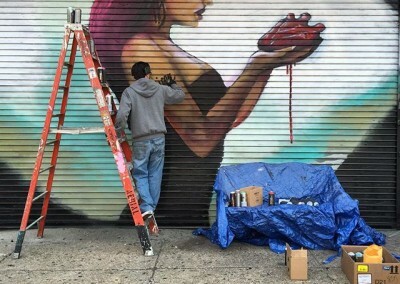 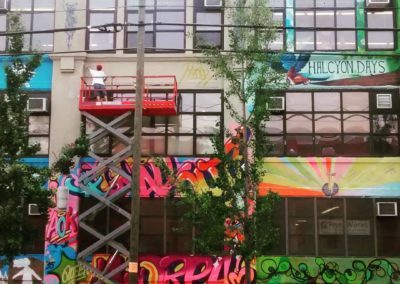 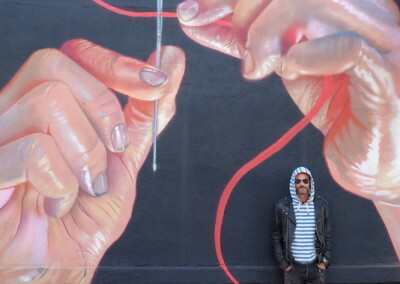 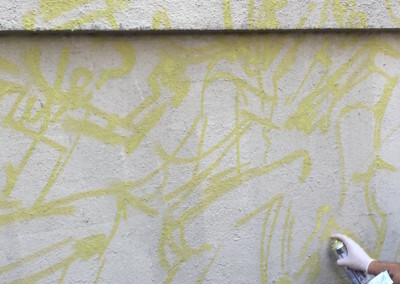 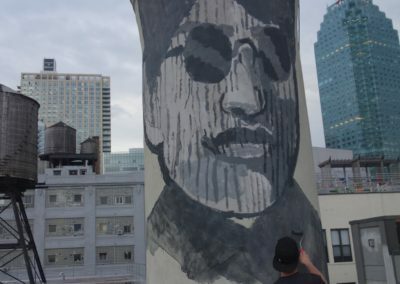 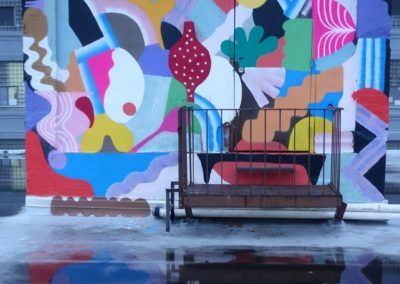 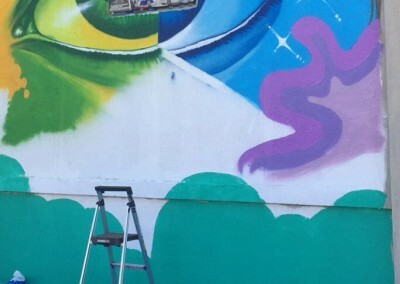 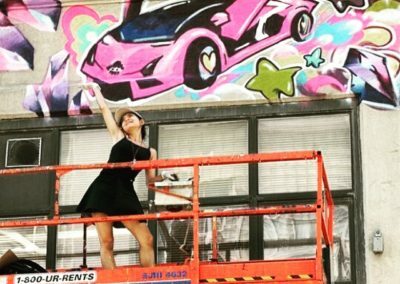 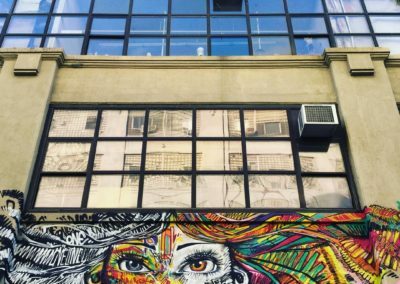 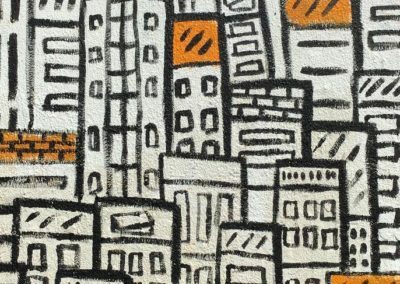 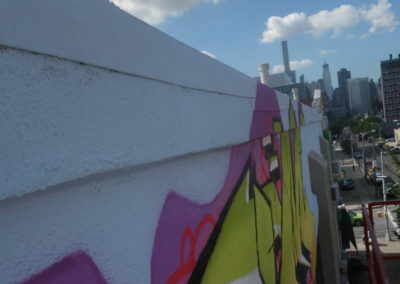 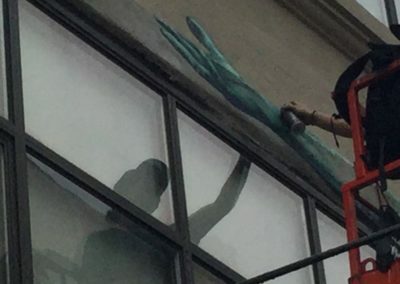 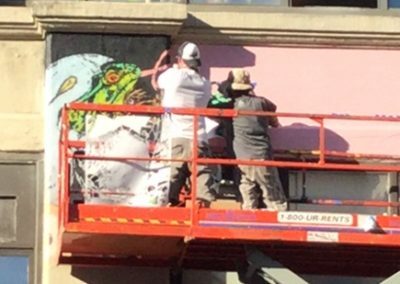 In September 2015, Arts Org NYC launched Top To Bottom, a site-specific public mural project and creative community lab on a three story, half-a-city-square block building south of the Queensboro bridge in Long island City, Queens. 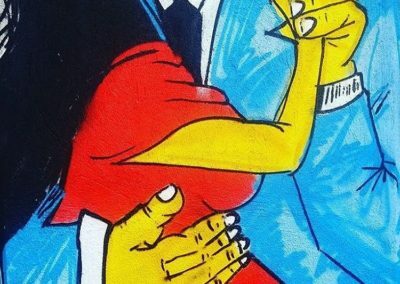 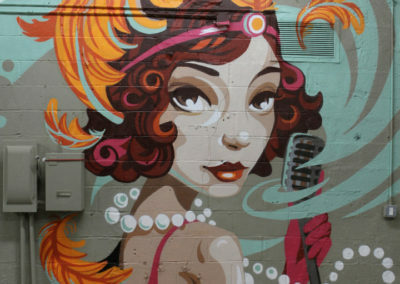 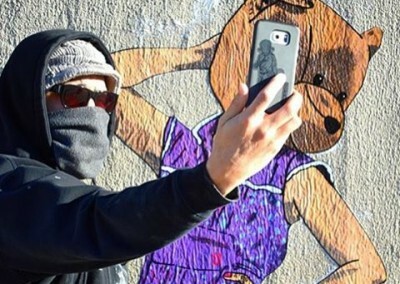 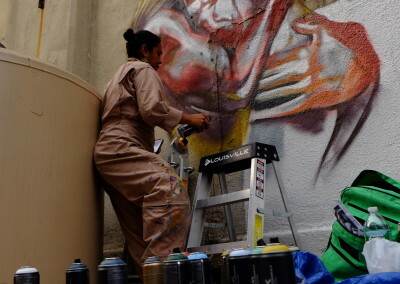 The project showcases an extraordinary wealth of style, color and expression from international street art legends to local maestros. 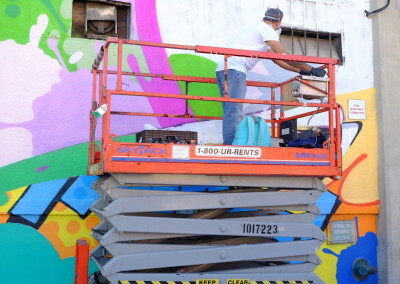 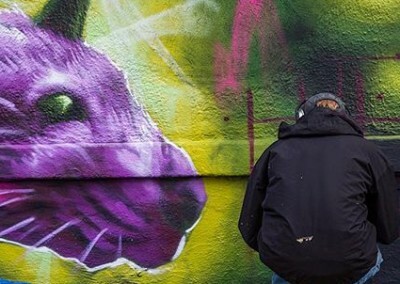 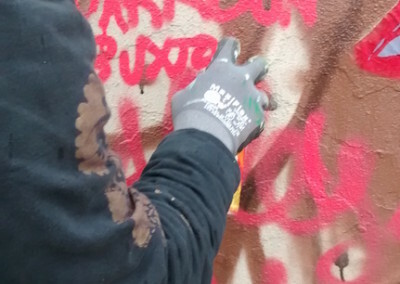 The mural magic kicked off with the bright colors and magic world of Magda Love, the paint machines of Kans and mural mastery of daZe & Crash, Cekis, Werc, Alice Mizrahi, Case McLaim, Erasmo, Cern, Alexander Keto, Li Hill, SeeONe and Icy & Sot. 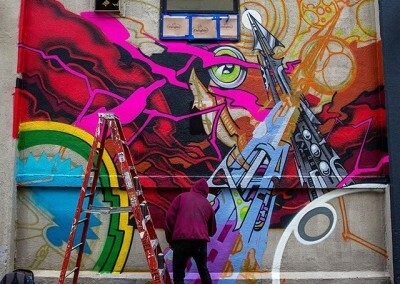 Over 60 artists (see below) from 14 countries and all NYC boroughs have contributed. 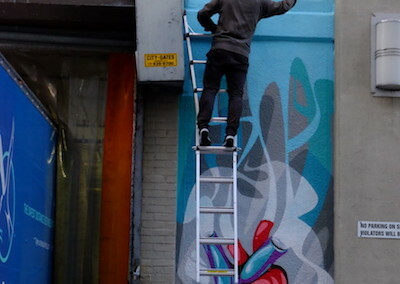 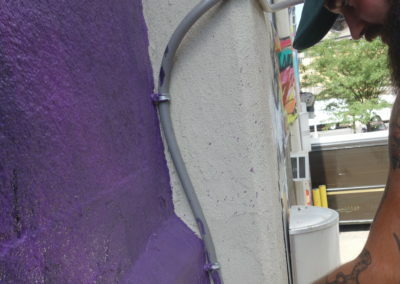 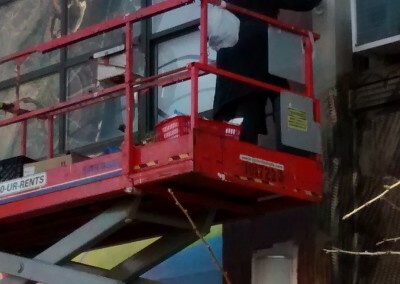 The work flows from the rooftop to the street, all sides and angles. 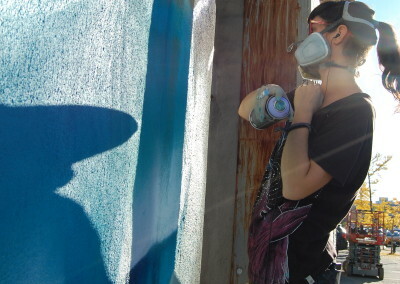 This inspired the project name, a phrase for a graffiti piece covering the full height and width of a train. 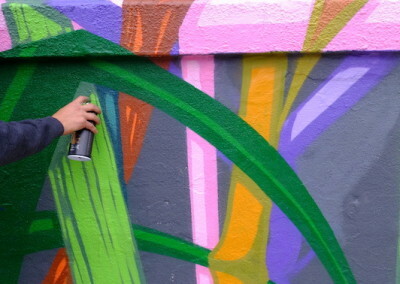 Every artist brings their craft and talent and mixes in their experience of the site and what they want to express. 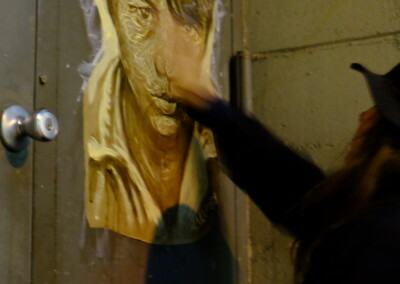 All works are the artist’s own creation–some in collaboration with other artists. 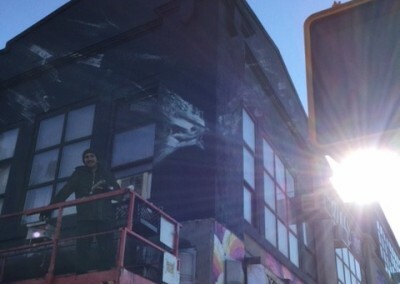 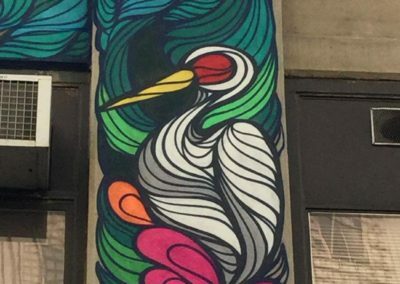 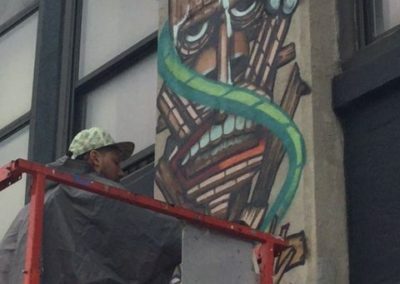 Murals of different scales merge with the unique features of the building and sight lines from the street, Queensboro bridge and 7-line. 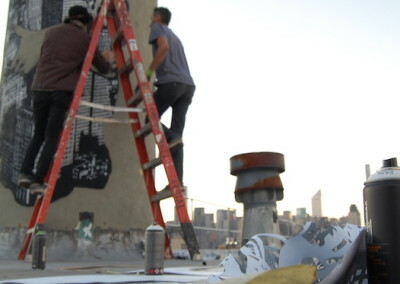 Top to Bottom is a collaboration between Arts Org NYC, the owners and crew at 43-01, all the creative artists, photographers, videographers and others who support and experience and share the work. 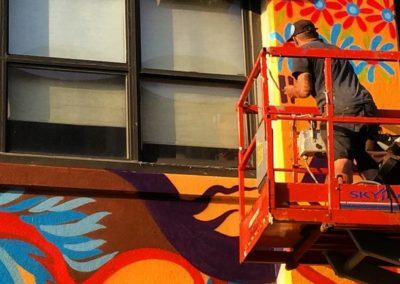 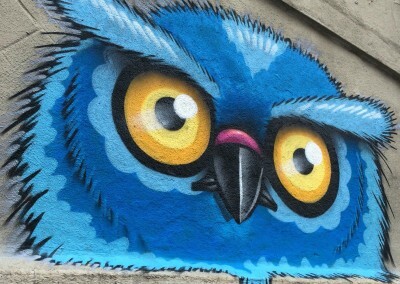 The vision is a city that embraces public art from school hallway to highrise and creative paths and communities for young and old and all in-between. 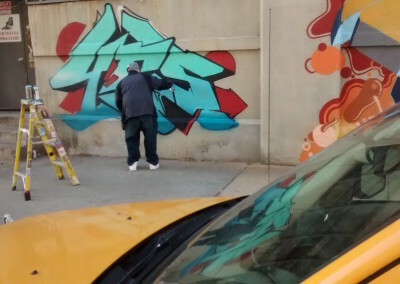 From Queens, Brooklyn, the Bronx. 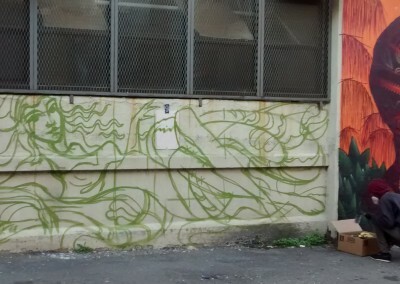 From Mexico, Montreal, San Francisco, Cologne.